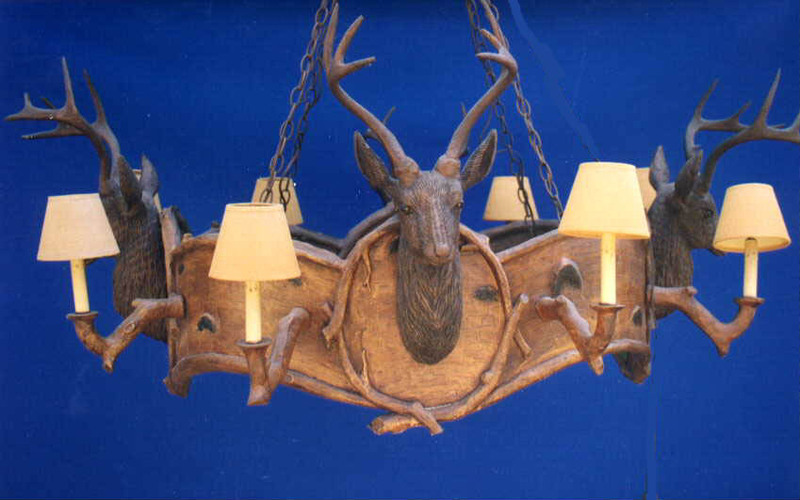 Description: Five foot birch bark chandelier with 8 lights and 4 large stag heads around 36" circumference ring. Takes 60 watt bulbs and has drip candle covers. Resin & steel. Shades extra.